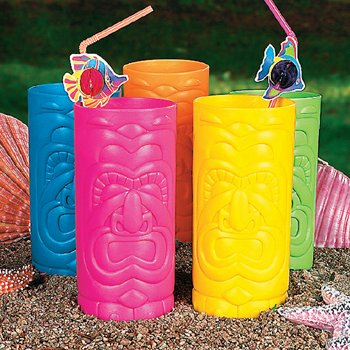 Luau away with these Tiki Cups! Assorted colors. Measures 7" 24oz. Price per cup.